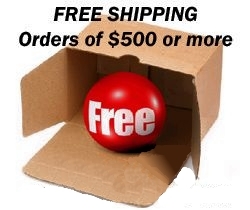 As a new customer to NoSkidSafety.com you are entitled to standard free ground shipping on your first online order with us, just as long as the order is $500 or more. Place an order of at least $500 of any combination of products into the shopping basket. Proceed to the checkout page and enter the code 57428 into the coupon box. We will then take the shipping off of your order for ground shipping within the continental USA. 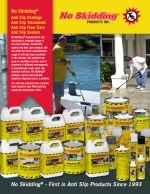 This offer is good only on the first purchase of $500 or more. Standard shipping applies. No special shipping. Free Shipping cannot be combined with any other coupons or other offers. 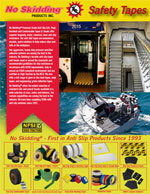 Free shipping does not apply to FRP Anti-Slip Panels and FRP Step Covers. Within the continental USA only.